Should You Following the Growing Number of Hedge Funds into Quad/Graphics, Inc. (QUAD)? Is Quad/Graphics, Inc. (NYSE:QUAD) a buy, sell, or hold? Money managers are getting more optimistic. The number of bullish hedge fund bets advanced by 3 lately. 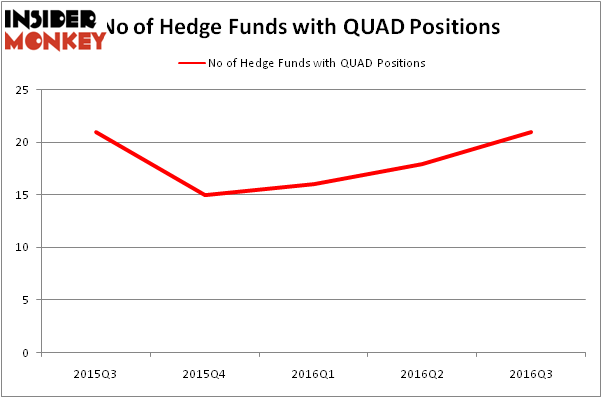 QUAD was in 21 hedge funds’ portfolios at the end of September. There were 18 hedge funds in our database with QUAD holdings at the end of the previous quarter. The level and the change in hedge fund popularity aren’t the only variables you need to analyze to decipher hedge funds’ perspectives. A stock may witness a boost in popularity but it may still be less popular than similarly priced stocks. 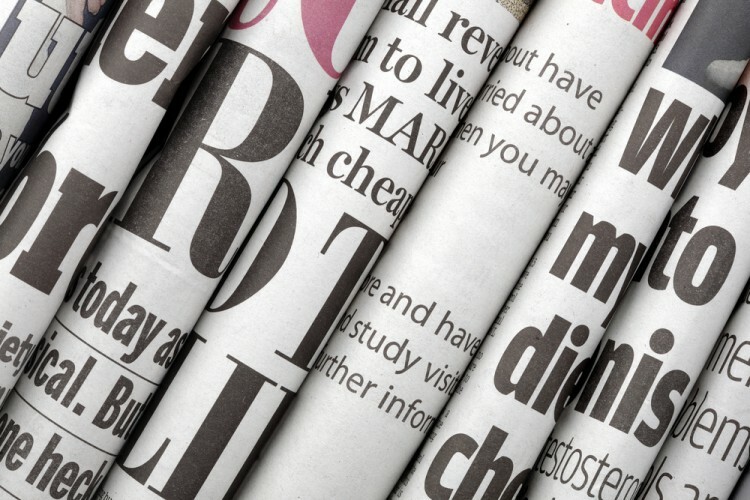 That’s why at the end of this article we will examine companies such as Celestica Inc. (USA) (NYSE:CLS), Nationstar Mortgage Holdings Inc (NYSE:NSM), and II-VI, Inc. (NASDAQ:IIVI) to gather more data points. At the end of the third quarter, a total of 21 of the hedge funds tracked by Insider Monkey were long this stock, a 17% rise from one quarter earlier, and the third consecutive quarter in which the number of hedge funds long the stock increased. With hedge funds’ capital changing hands, there exists an “upper tier” of notable hedge fund managers who were upping their holdings meaningfully (or already accumulated large positions). Of the funds tracked by Insider Monkey, Jim Simons’ Renaissance Technologies has the most valuable position in Quad/Graphics, Inc. (NYSE:QUAD), worth close to $39.4 million. The second most bullish fund manager is Elm Ridge Capital, led by Ron Gutfleish, holding a $13.5 million position; 3.2% of its 13F portfolio is allocated to the stock. Some other peers with similar optimism comprise Cliff Asness’ AQR Capital Management, Joel Greenblatt’s Gotham Asset Management and Israel Englander’s Millennium Management. Is American Airlines Group Inc (AAL) The Right Pick For Your Portfolio? Mitel Networks Corp (MITL): 73% Surge in Hedge Fund Ownership Hedge Funds Are Powering Up On Nextera Energy Partners LP (NEP) Have Hedge Funds Found A Winner In New Relic Inc (NEWR)? Should You Follow Hedge Funds Out Of ArcelorMittal SA (ADR) (MT)? Is Monolithic Power Systems, Inc. (MPWR) A Good Stock To Buy?